I made my annual spring trip to hike to Cape Split on the Victoria Day week end here in Nova Scotia. Last year DNR added a parking lot for 60 or so cars greatly improving the trailhead. We started the nearly 8 kilometer trek to the end just after lunch under bright sunny skies. 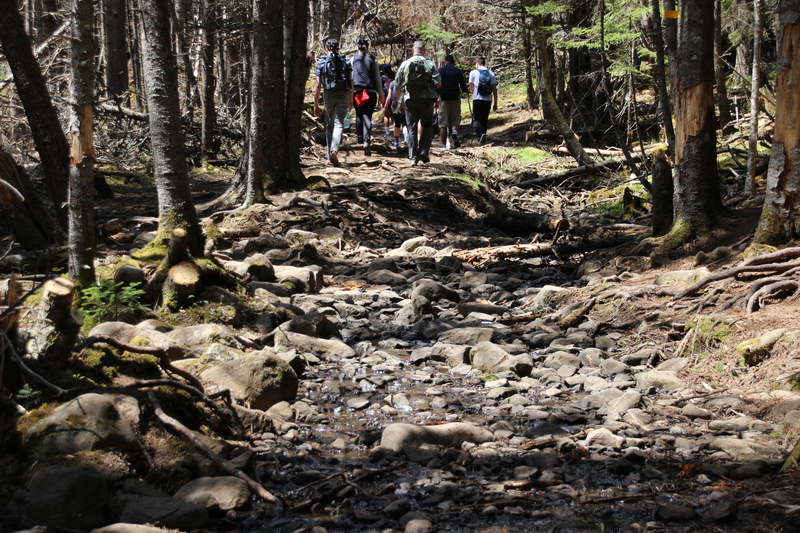 I expected spring hiking conditions which in Nova Scotia means mud and wet, but with the exception of a few spots the trail was in exceptional condition. 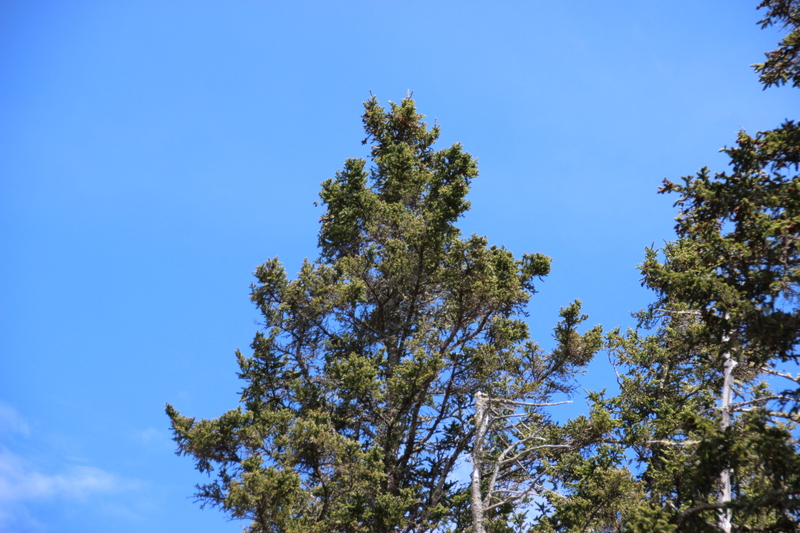 The first 45 minutes of the trail is up hill cutting across the peninsula going from a mix of primarily softwood on the Scots Bay side to hardwoods on the Minas Channel side. After reaching this point there are periodic water views as you hike along. I was somewhat nervous are there was litlle flora on the uphill saunter, was I too early this year? To my relief at the point where the hardwoods start the floral show began. Primarily three flowers are the show. The Carolina Spring Creepers literally carpeted the forest floor with its delicate five petal pure white to light purple and many in the middle with purple stripes on the white petal. The view was very good seeing a great deal of the coast and as fa r away as Isle Haute.After a snack and allowing myself to drink in the beauty of the Split I did an alternate route back along Scots Bay toward Little Split Rock Cove and then overland rejoining the main trail to return to the parking area. The weather did turn quickly becoming overcast and a light but steady rain for the last hour of my hike. This area is becoming more and more popular with latest estimates put upward of 14 000 hikers on the trail last year so you probably won’t get solitude on this trail but beaty by the bucket load.